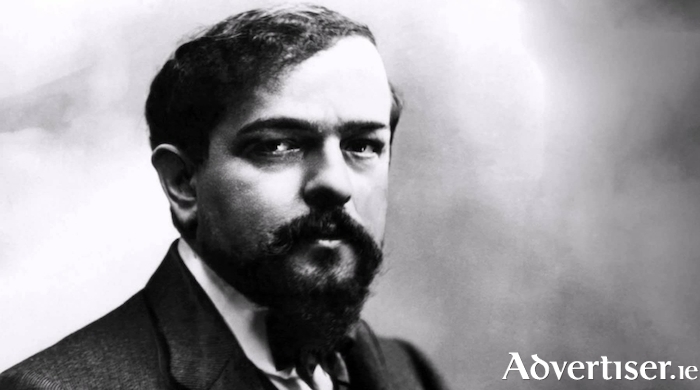 CLAUDE DEBUSSY is the starting point of modern music. As music critic Roger Nichols wrote: "If one omits Schoenberg...a list of 20th-century composers influenced by Debussy is practically a list of 20th-century composers tout court." And the great man was not only an influence on classic music, but beyond that as well, such as on jazz pianist Bill Evans, Talk Talk's Mark Hollis (listen to 'The Rainbow' from 1988's Spirit of Eden ), and Paul Weller in the latter recordings of The Style Council. As this year marks the 100th anniversary of Debussy’s death, Music For Galway will present 'Celebrating Debussy' in the Emily Anderson Concert Hall, NUI Galway, on Wednesday October 31 at 1.05pm. Thérèse Fahy (piano ) and Madeleine Staunton (flute ) will perform pieces by Debussy and a Debussy inspired piece by former artistic director and founding member of MfG, Jane O’Leary. Admission is free. Music for Galway’s Lunchtime Series is sponsored by SAP Ireland.